Just a few days shy of its second anniversary—it officially opened on April 12, 2017—owner and franchisee Suzanne Upppman worked alongside her son-in-law and store manager Scott Holzhauer. 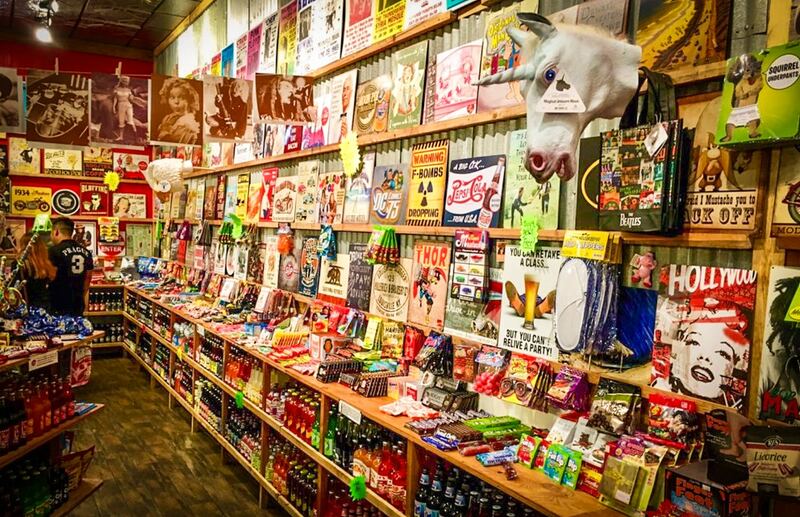 The store was known for its array of different sodas (Sweet Corn Soda and Chocolate Brownie included), salt water taffy, and seemingly timeless selection of candy—from oddities like Idaho Spuds and bacon gummies to your classic options like Big Hunks, Boston Baked Beans, and Butterfingers. The pair remodeled the entire Powell’s space into a red-and-white, vintage-y vibe before opening what was Long Beach’s first and only location of the massive franchise chain, which has over 100 locations nationwide and all operated by franchisees. Rocket Fizz was located at 5282 E. Second St.